Currently, I am working on substantial revisions for one of my manuscripts. When I had set out to do this revision, I planned all my changes on a spreadsheet and gave myself deadlines (I'm a type-A planner. Can you tell?). At first I was moving pretty steadily, making my daily, and weekly goals, and then things got sticky. I pushed through anyway. And then I got stuck. After what felt like taking a huge step forward with the revision, I realized I had taken two steps back. By trying to meet my daily goals and weekly deadlines, I had rushed the story and it showed in my writing. Every scene felt forced. One and a half week's worth of work needed to be re-revised. That hurt. That really, really, hurt. And my mindset became totally wrecked as the finish line slipped farther and farther away. And when you're feeling down, all the other negative chatter follows, making it hard to be focused or passionate about the story when all you can see are the flaws in it. I got myself out of it by taking the time to go back and seeing where things went wrong and being honest with myself with what needed to be done to get me back on track. Remember to never rush a good thing: This applies to life but also drafting/revising. You can always tell where an author put in a lot of time in a piece of work, versus rushing through a plot point. Rushing leaves the reader unsatisfied. I mean forced plot, forced character, forced everything, wouldn't that leave you unsatisfied? You know how you can tell when someone is trying to hard? It's basically the same thing. You're trying too hard to make a plot point or character arc stick and it shows up as being inauthentic. So happy to say that I am almost two-thirds done with this revision! Middles for me are always the hardest, so I am looking forward to revising the ending and being done with this layer of revision. This month in the woes of my revision I looked for some inspiration and found them in some podcasts featuring Sarah J Mass and Julie Dao! If you need a motivating boost, check them out! Showing Up - Sarah J Mass interview at '88 Cups of Tea': I absolutely adored Sarah's conviction and dedication to her craft. Her belief in herself and what she wanted to do with her life since 16 really restored my belief in myself and what I want to be: a writer! Her most important advice? Show up, every day. If it's the job you want, you have to work for it. 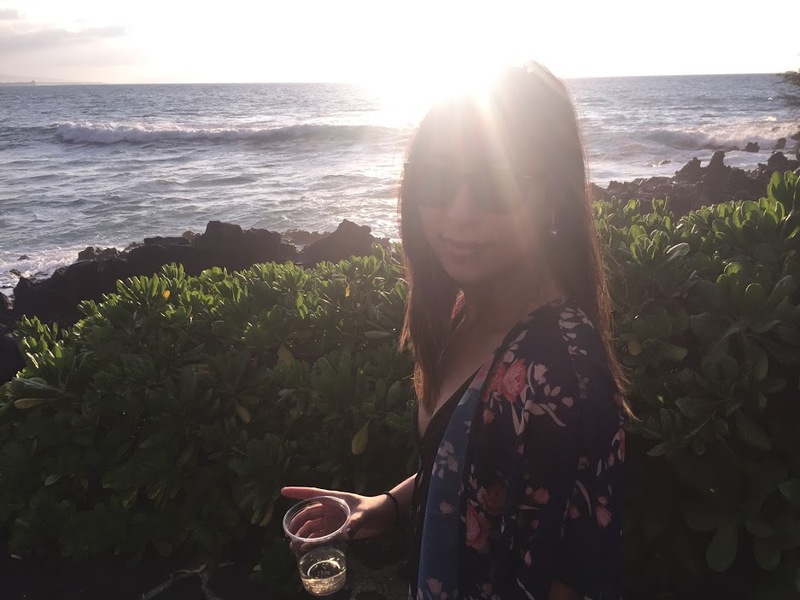 Never Giving Up - Julie Dao interview at Write or Die: I knew a little bit about Julie's road to publication but not to this extent! She goes through her journey in detail which goes to show that the only failure in writing is in giving up. Her persistence is awe-inspiring and gives me hope for my own journey. She made a great comment about how you never really know when success will arrive. It may be right around the corner and you don't even know it. So that should be reason enough to keep going, and never give up. You Are A Badass at Making Money by Jen Sincero - This was a Mother's Day gift from my sister. Now, that I am pregnant, I've been kind of stunned at how much it costs to raise a human being! I always had the mentality that money does not make a person happy nor does it define your worth. One thing I have to admit: money makes life a whole lot easier as long as you are able to manage your money well. Though some parts I couldn't get behind 100%, I felt like this was a quick and uplifting read to encourage you to step out of your shell and ask for what you want. Own the day, Own your life by Aubrey Marcus - So I really enjoy listening to self-help/motivating books on audiobook (it makes doing chores/the commute go by so much easier). I highly recommend you do the same for this one. Marcus illustrates how focusing on optimizing and doing your best each day is the best approach to owning your life instead of getting owned by the day to day. Focusing on all aspects of your life, this book really resonated with me (I'm a productivity junkie--anything to be more efficient and make the most use of my time always gets me inspired) by emphasizing balance and how to achieve it. There were so many takeaways from it that I'm still digesting everything I learned. Music-the latest adds to my spotify playlist: I've been on an alternative kick lately! Hello 2018! Time for my first post! 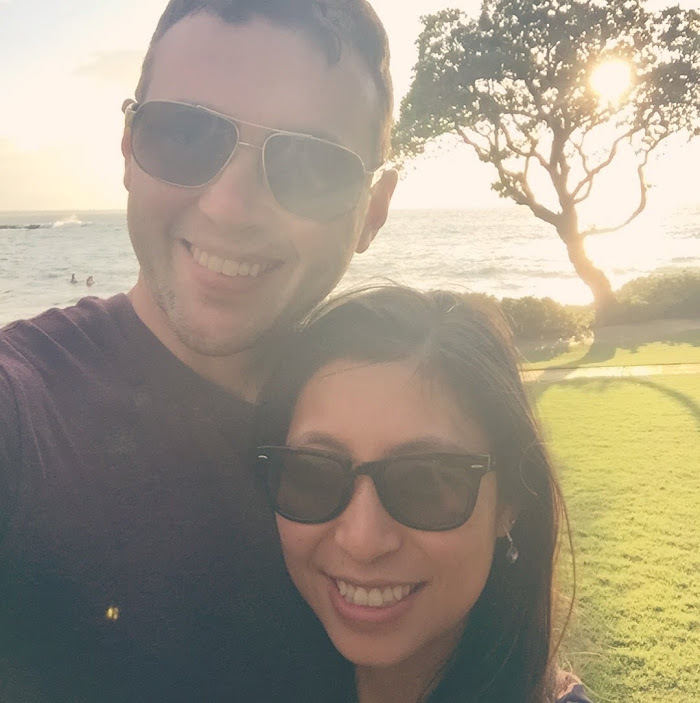 I started off the year with a trip to Hawaii with the hubs and the in-laws (who graciously hosted). During vacations I usually want to do a lot of stuff, but my 4th quarter at work was crazy busy and I hadn't been feeling well (update on that below), so I made it my mission to decompress and relax. Besides a few posts on Instagram, I basically unplugged which was nice! I ate well, drank well, read well, and managed to get some writing done. 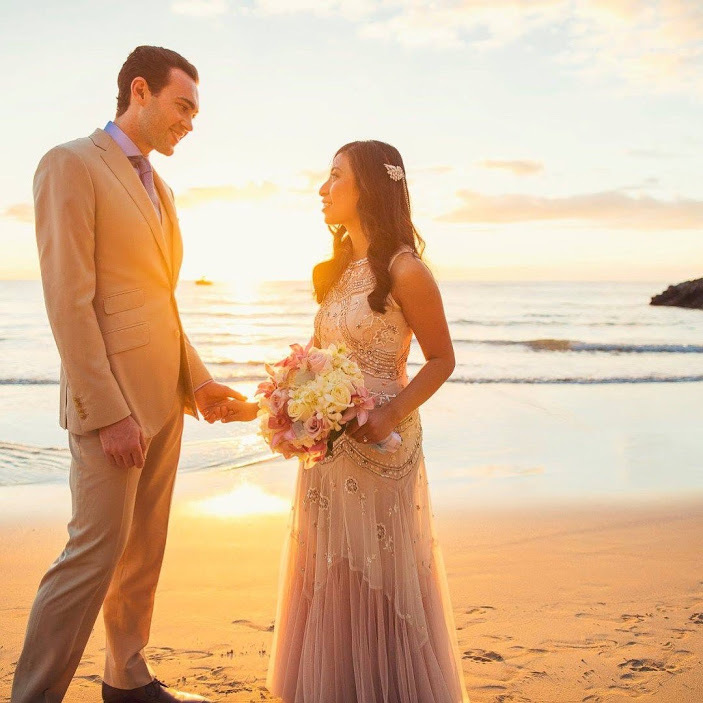 While in Hawaii Michael and I got to celebrate our first year of marriage! It was nice for our first anniversary to go back to the place where we said our vows and got hitched. It brought all the warm and fuzzies back, except this time was so much better because I didn't have a wedding to execute! So yeah, being married is great. Especially to this guy. On the beach, I managed to read three books in a week. 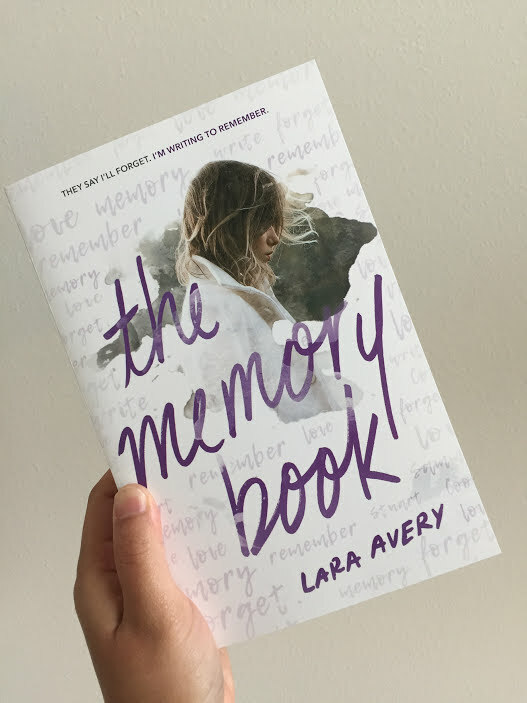 My favorite of the three was The Memory Book by Lara Avery. Where has this book been all my life? Why did no one recommend it to me? This is a laugh, cry, then sob kind of book with such lively characters. Easily one of my new favorite books that I will reread in the years to come. Pick it up. I dare you. Then once you're in the sobbing phase, come cry on my shoulder, and I'll feed you chocolates to lessen the gut-wrenching blow that is this beautiful work of art. Anyway, this book, along with the others I read on vacation really got me thinking of MS7 and what type of reaction I wanted to invoke in my reader. After finishing pass 1, I decided I needed another major overhaul during Pass 2. More specifically: revising the voice, tone, and fleshing out the characters. My dear reader, I want you to love, laugh, and cry. That is the goal. :P It's a big change, but I think it'll make the MS better (that is, if it doesn't kill me first). Like seriously, this manuscript is so hard to write, but feels worth while, and one of my goals this year was to write the best book possible. There's still eleven months to go to make it SHINE. Even though I've been agent-less for awhile, I'm starting to feel really good about my writing again. Last year I'd wrestle with so many doubts wondering if I had it in me. The thing about your low years? It really shows you what you want, and for me it reaffirmed my belief about who I am and what I'm meant to do. This year, I've been exploding with book ideas and it's only January! For the last two years, I kind of had a drought so it's kind of a relief to get drenched with all these ideas. So yeah, the start of 2018 has been all about positive vibes! Something I've been doing is listening to upbeat music in the morning (Any FLOR fans out there?). If I'm am work, I'll jam out in my cubicle. If I'm at home, I put on my headphones and dance in my office. This new habit just makes me feel happier, and it makes me think about my story and what I'm trying to do, and how to bring more meaning into my story world. To fully understand how much of an improvement I've made on my outlook, I should confess that the last three months I've been dealing with terrible pain from ovarian cysts due to hormonal imbalances. I haven't felt like myself at all, and there were days when I would just lay about because being away from the heating pad hurt so much. My writing took a hit, and I was such bad company I basically kept to myself. The good news is, I'm dealing with it and getting my hormones under control with natural supplements and cleaning up my lifestyle. It'll take a while to find my balance, but I'll get there. Now, that I'm back home I'm really excited to dive back into my goals, my writing, life, and making the most of this year! The Book: Sixteen-year-old Starr Carter moves between two worlds: the poor neighborhood where she lives and the fancy suburban prep school she attends. The uneasy balance between these worlds is shattered when Starr witnesses the fatal shooting of her childhood best friend Khalil at the hands of a police officer. Khalil was unarmed. My Feels: I had the pleasure of reading this beauty last week, and I'm so glad I did. The best word to sum up this book: relevant. As in this is so relevant to our times I wish everyone would read it. We've heard a lot about #ownvoices and the need for it, but I don't think the urgency really clicked with me until I read this book. Once I got to the end and was able to digest this as a whole, I found myself wishing there was something like this for me as a teenager. This made me think a lot about our current society, the connection and understanding I have with POC, but it also awakened this deep sadness within me. Why don't people see that racial comments are hurtful? Why do they see it as humorous? Has society normalized it as so? It's frustrating. Like really frustrating. Especially being a POC and deemed 'sensitive' when I bring up my concerns on this. I won't go into a further rant, but I do want to say that this is the kind of book that made me look inwards and outwards. For that, I can't recommend this enough. Pick up a copy if you haven't already. The Book: There’s no such thing as safe in a city at war, a city overrun with monsters. In this dark urban fantasy from author Victoria Schwab, a young woman and a young man must choose whether to become heroes or villains—and friends or enemies—with the future of their home at stake. The first of two books. My Feels: I finished this a while back, but I'm still dealing with fresh feels. What's amazing about Schwab is her ability to create such memorable characters. Combine that with beautiful prose, the thrilling pacing, and creepy monsters, and you get this amazing page-turning book. My favorite part of this book is August's point of view. I loved his existential bits and his relationship with his sister, and his desire to do what's right. And then you have Kate who's tough on the exterior, but wants to be noticed by her dad. Beneath the thrilling pace and action scenes, there's a heart beating beneath this story, which for me, made it so enjoyable that I couldn't put it down. This is definitely one of those books you cozy up with when the rain is pouring and you have a flashlight in your hand, unable to sleep because you need to finish. As you can tell, I'm looking forward to the second installment! The Book: The Eighth Story. Nineteen Years Later. My Feels: Okay, so I actually really loved this, more than I thought I would! I think what people found disappointing about this was the medium. It's a play, not a book. It won't have those descriptions and inner dialogues, and all the things that make books so awesome! With that said, some people might not connect with that after being so attached to the books. But there's still a story here, and its one I enjoyed. It still had great HP themes and moments, and that's what I bought it for. If you're not used to reading plays, then it may be hard to get into, but read it anyway because don't you want to meet Scorpius?! SO ADORBS. *heart eyes everywhere* And if you don't mind the medium, then go for it! I read the HP series growing up, so now as an adult, I really appreciated this new medium and this grown-up Harry; I can empathize with him and his son. I wish there were more books after this because I just can't get enough of the wizarding world. Luckily, I have the Fantastic Beasts movie to look forward to so I guess there's no need to mourn the loss yet! The Book: Long before she was the terror of Wonderland — the infamous Queen of Hearts — she was just a girl who wanted to fall in love. My Feels: Remember how in my last post I said Mic let me borrow her ARC of HEARTLESS? Well, here is the proof! I think I devoured this in about 2-3 days. What can I say, I'm obsessed with Meyer's work. This beauty comes out November 8th, and it's been one of the Fall reads I've been anticipating. This standalone completely differs from The Lunar Chronicles in terms of world building and societal norms. TLC gives you the future, but HEARTLESS brings us back into the past, at times reading like a YA Victorian novel--I absolutely adored it. Also Cath's character ARC was so perfectly aligned with the plot. And Cath and Jest! Be still, my heart! What really shined for me was the characterization. Meyer put her own spin on these memorable characters that made reading this retelling so refreshing. Not to mention, Cath bakes! I don't know why, but I loved this side of her and all the similes/metaphors using food. If you love Meyer as much as I do, you won't be disappointed picking this up. Make sure to get some yummy desserts as a reading companion while you gobble these words up! The Book: When "Perfect" Parker Fadley starts drinking at school and failing her classes, all of St. Peter's High goes on alert. How has the cheerleading captain, girlfriend of the most popular guy in school, consummate teacher's pet, and future valedictorian fallen so far from grace? My Feels: So I've been in a total book slump, and decided to pick up this book by Courtney Summers because 1.) I love her raw, writing style, and 2.) she always leaves me with a book hangover. Why it took me so long to pick this up since I loved ALL THE RAGE and SOME GIRLS ARE is beyond me, but I'm glad it was there to break my reading slump. Okay. So my feels. At first, I wasn't sure I was going to like Parker. She's bitchy and completely unlikeable, and if I couldn't understand why she was like that or empathize with her, I knew I wouldn't make it through the whole book. But Summers has this talent for bringing to life the characters on the page, that they all seem familiar and completely real and imperfect. And within a couple of chapters, I found myself starting to relate to Parker (not completely, but enough to get hooked). Perfection is something I dealt with constantly in high school. As a new student at a school where everyone knew each other since their diaper days, it was difficult for me to climb up the social ladder. It was only when things started to fall apart for me that I realized how stupid it all was and how miserable striving for perfection made me. That's what made this book so unflinchingly real, that I consumed it in one sitting (like all of Summers books). If you aren't on the Summers bandwagon, I highly suggest you get on it pronto. You won't regret it. This one deals with the tough stuff: regret, identity, secrets, anxiety, suicide. There's no sugarcoating, and that's what I love about it.